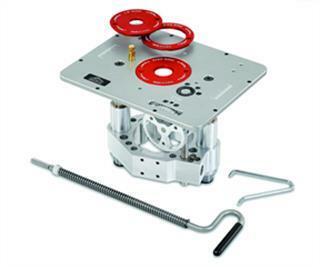 This heavy-duty router lift is designed for the most demanding routing operations using fixed base routers. 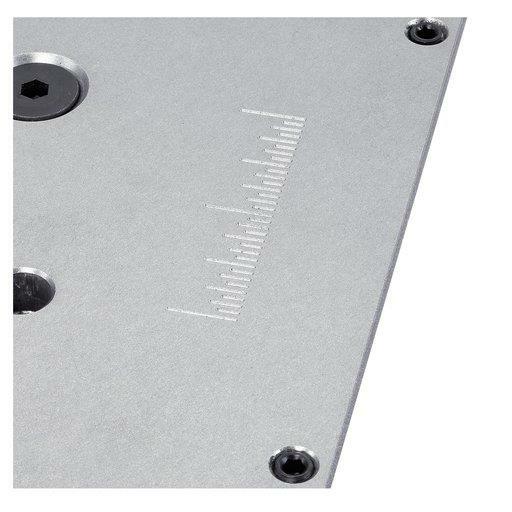 The quick-lift design combines instant bit height changes with precise micro-adjustment. 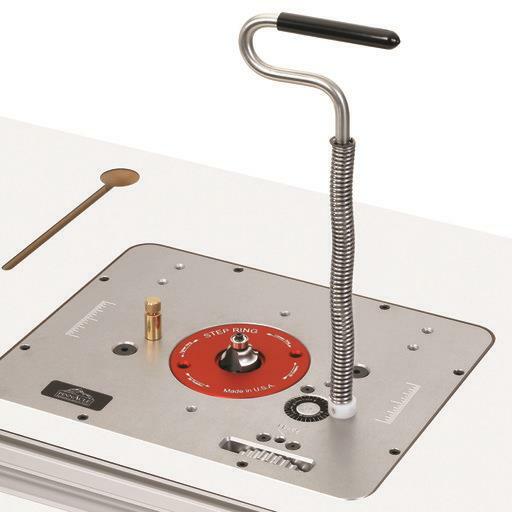 Woodpeckers® Model 420 V2 Router Lift combines instant elevation change with micro-adjustment to dramatically reduce the time it takes to change a router bit while allowing the user to “dial in” bit height for precision milling of stock. 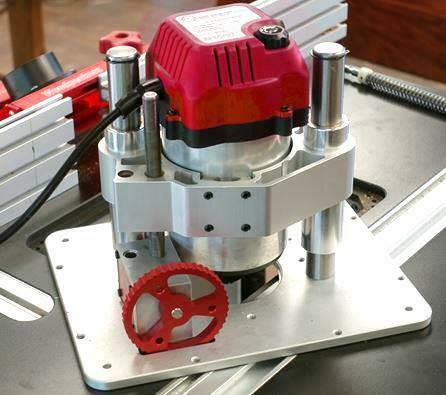 With a simple twist of the spring-assisted lift wrench, the router motor is free to be moved to any vertical location without requiring any other action. Fine, precise bit height changes are equally as effortless by “dialing” the thumb-wheel to make accurate adjustments. 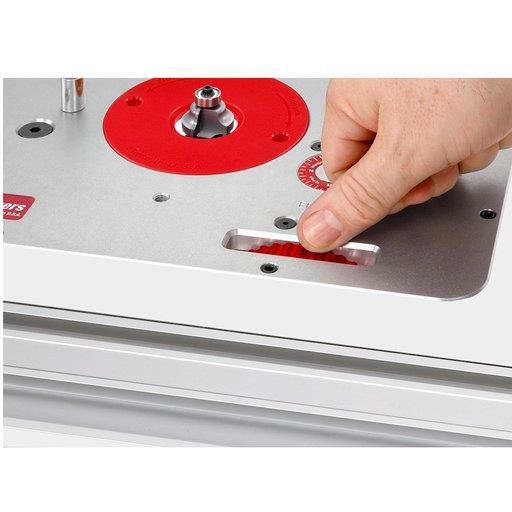 Accurately machined carriage, with integral motor clamping mechanism fits industry standard router sizes.